This is a sponsored campaign in collaboration with JOHNSON’S® and Latina Bloggers Connect. However, all opinions are that of my own. 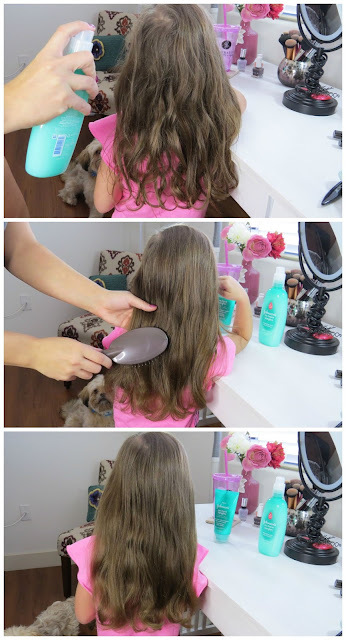 When it comes to getting my daughter ready for school in the morning the most difficult task, aside from peeling her out of bed, is doing her hair. She has gorgeous long but very easily tangled wavy hair. I think she looks more like an 'Anna' than an 'Elsa' here. Sending her to school with this crazy mop is not an option. 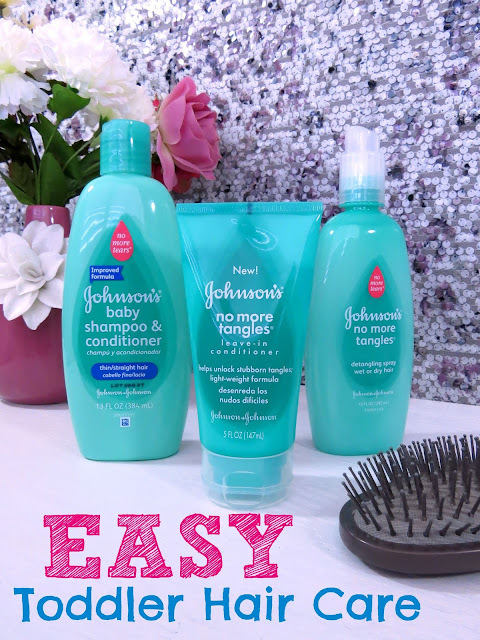 Luckily, Johnson’s® has an amazing NEW line of products that help me tackle and tame her hair with NO MORE TEARS® and NO MORE TANGLES®. Our easy going styling starts in the shower. We like to use the NO MORE TEARS® Shampoo & Conditioner for thin / straight hair. I usually have her shower at night so afterwards I wrap her up in a Turbie Twist towel and let it air dry a bit before tucking her into bed. 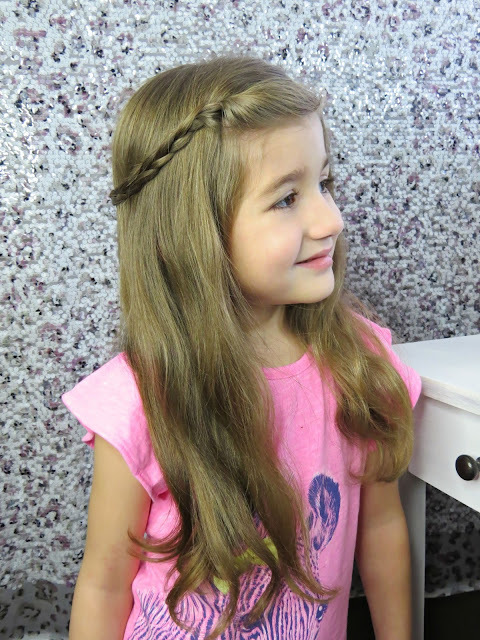 In the morning, I lightly spritz the bottom half of her hair, from the ears down, with the NO MORE TANGLES® Detangling Spray. This spray is a dream! Allowing the brush to glide through her hair, effortlessly, separating any tangles or knots. Check out how I give myself a Salon Style Blow Out at home. From here I can go ahead and style it whichever way we are feeling that day. Today she wanted to wear her hair down. I like to keep the front out of her hair out face. Here I am creating a thin crown style braid. Securing it at the back of her head with some bobby pins. 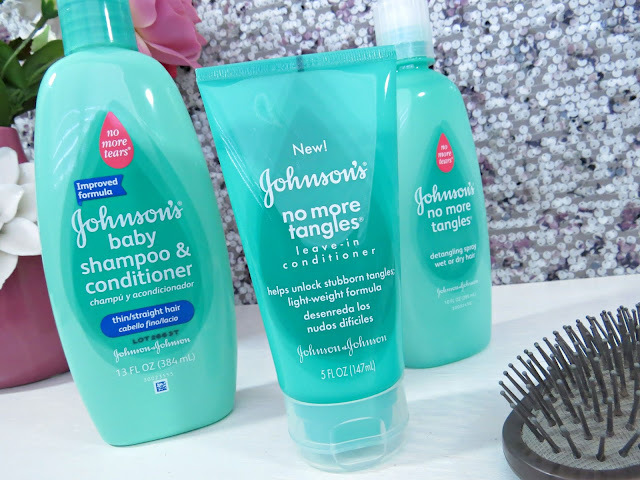 To finish the look off and keep her style looking smooth and soft all day I run a bit of the NO MORE TANGLES® Leave in Conditioner on the ends of her hair. This keeps frizz at bay. And she is good to go! No tears, no fuss, no chasing her around the house to get her to cooperate. Actually, I have found that she has started to look forward to our hair styling time each morning. She has even come up with some quite interesting ideas for hair doos. Tell me in the comments below what some of your go-to hair taming tips are. 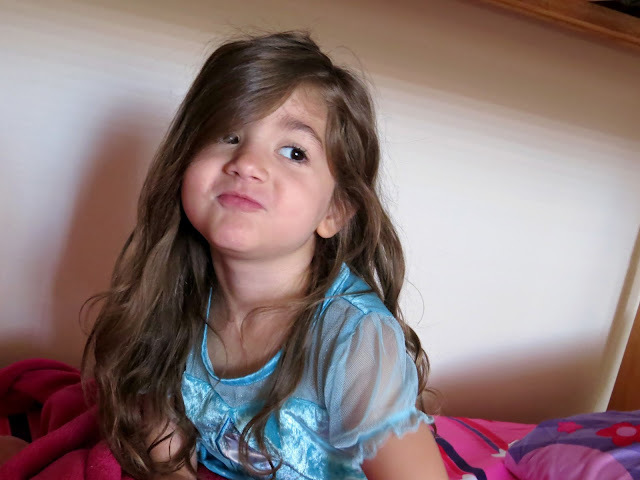 My grandgirl, Nora, is the hair-tangle queen! She is so carefree and spontaneous that, well, her hair is, too! The first photo you posted of your sweet little girl reminds me so much of her! 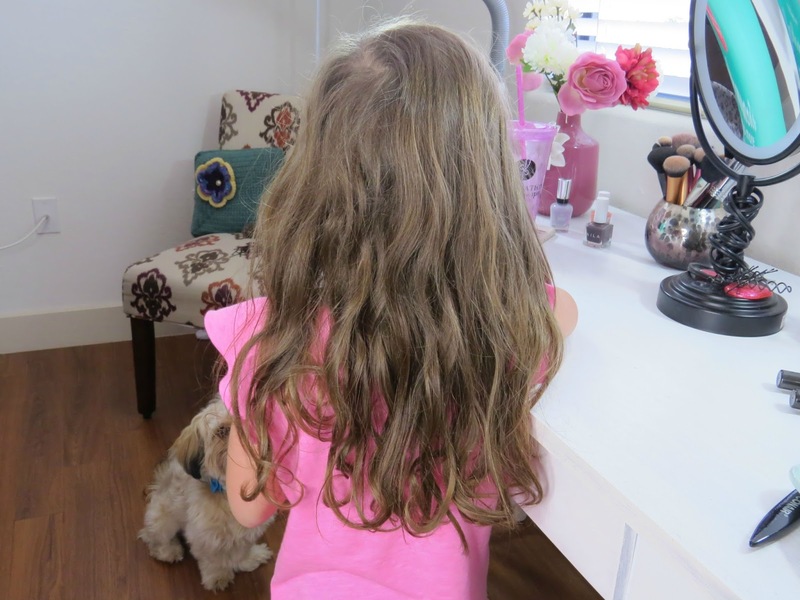 I will have to find out if her mom has tried No More Tangles! She's a smart mom -- I'll bet she has!